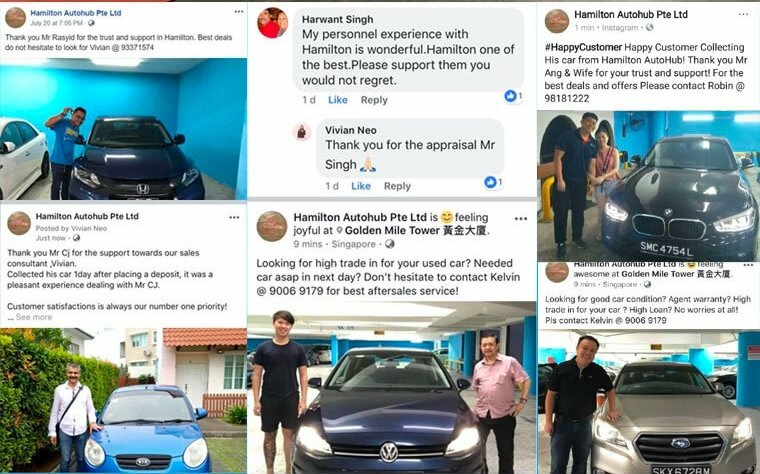 Hamilton Autohub Pte Ltd is a company that provides wide array of cars for customers looking to purchase their first or add another to their family of cars. Their goal is to provide all customers with a pleasant experience by striving to exceed expectations and delivering impeccable after sales services. With strong ethos such as sincere and honest customer service and providing a car that is of good quality and also making reasonable profit resulting in a win-win solution for all parties. 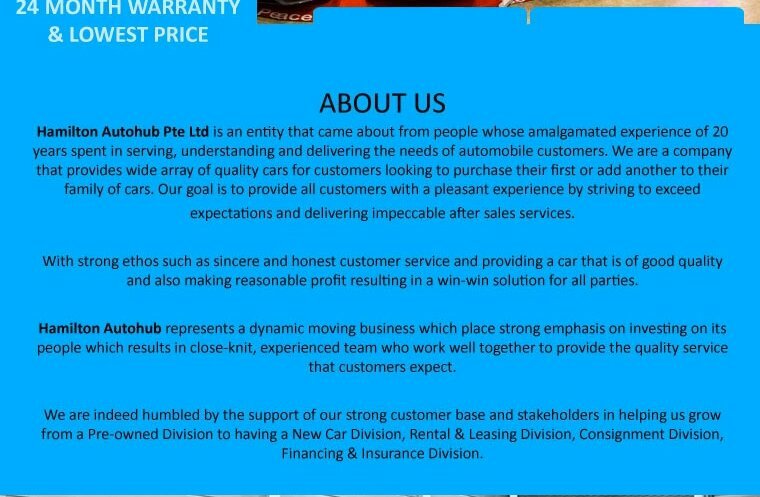 Hamilton Autohub represents a dynamic moving business which placed strong emphasis on investing on its people which results in close-knit, experienced team who work well together to provide the quality service their customers expect.